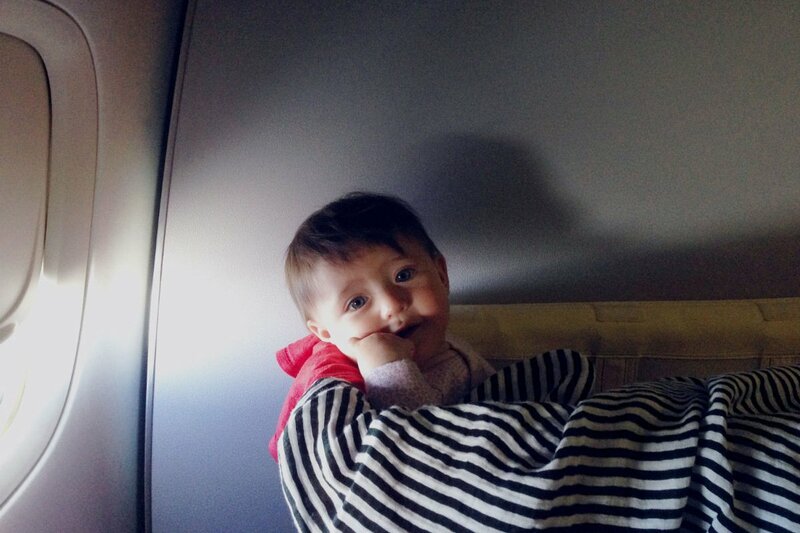 Just in time for your holiday long-haul: Popupla co-founder and traveling parent Jeralyn Gerba discusses how to manage flying with a toddler. Think compact sizes: The car seat I like traveling with is called the . It's the only one I've found to be quick and easy to set up and break down (it’s used in all Ubers). Play the long game. What's going to keep everyone sane? Try to think about meltdown scenarios ahead of time so that you can avoid them when possible. Things fall apart when people are hungry, fatigued, and feel like they’re being forced to do things. I’ve seen this happen firsthand with adults in transit, so you can’t really hold it against the kids. If you give them a bit of latitude, let them run out some energy when possible, and them well, you’ll make it out of there alive. You may even enjoy yourself.